Why We Don’t Need A Black History Month! 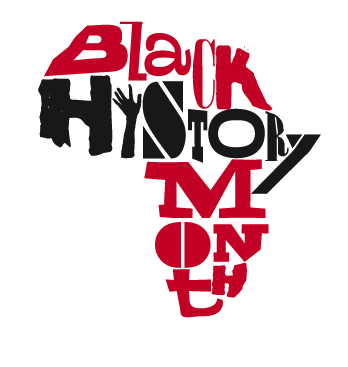 For those pulled by the title, the simple answer is that every second of everyday should be African/black history day. Here on TAP magazine, we always make sure that’s the case. To our regular comrades, we have been getting overwhelming requests to do a piece about Black History Month and to be frankly honest, I’ve since had a lot of questions going through my mind that I wanted to share with you all before we start the celebrations! Things like do we even need it? Does the Europeans, Chinese and other people/race’s of the world have a month where they celebrate their achievements or does success just come so natural to them hence not a big deal! Is the shortest month of the year any good when one wants to cover the longest history in history? And how can I talk about the greatest crime against humanity in the entire history of mankind just in one post? Or even a month for that matter! What encompasses “black” history anyway? Isn’t black history American history? Isn’t it African and European History, or did the so called “blacks” create this history by themselves? Isn’t black history world history? To point out at just one example, Its estimated that 40-100 million people were directly affected by slavery, how do you pay respect to all this people! Have different governments and institutions who were involved in this Holocaust “apologized and compensated” the descendants of all those affected? Who are they? Yes, who are black people? Where do they originate from? Who are their ancestors?? How do they define themselves? Now, how do you define them? Are Africans black people too or they are just plain Africans! What’s the difference? When you talk about black history, does it mean that the millions of Africans that have migrated to Europe and in the Americas in the last 10 years share the same history with generations of people whom their ancestors came to these shores over 500 years ago? How about black Indians, black native Americans, black asians, black people of the Arabia, are they also part of this February black history month party? I guess what I’m trying to get to is that there isn’t and never has been a people called “black”! Back in the day before the colonisers landed in Africa, Africans never referred to themselves or to each other by the color of their skin! We had families, clans, tribes, African names, Kingship’s and we belonged to those tenets. One was from the Zulu land, from the Luo or from the Fulani! So how did we come to be known primarily by the colors of our skin! See, this are the type of things we should be talking about, especially since the color of our skin has different complexions!! We are coloured remember? Dark, cream, brown, light, yellow! “black” Who called you black? Today, “Black” people of the world continue to be at the bottom of every social-economical pyramid in the Diasporas! Shouldn’t this be the main talking point of “black” history! In America alone, a country where only 13% of the 150 millionaire people are black, black people count for over 40% of the 2 million people in prison! Matter fact, 1 out of 3 black men is guaranteed to end up in prison. Get it right, I’m not saying lets rip out the month of February in the calendar or that we shouldn’t celebrate the achievement of black people in the Americas, Canada and beyond. What I’m saying is that we need to focus our attention on issues critically affecting our communities today and not make the whole month all about parties and poetry Jams. Not that I wouldn’t love to participate in any of the aforementioned activities because I do but lets look further. Let’s look at the grand picture, at crime, unemployment rate, education within our communities! We’ve came a long way, in fact, for those who still care, we now have a “black” president but our history did not start in “Blackness”; it started in Africa over 4.5 billion years ago and it has to be told every day of the year not only in 28 days!! NB/From tomorrow on, and for the rest of the month. We will be celebrating (as Dr Carter Woodson intended) the contribution and achievement of African Americans in the History of America and the world. Check out this space and while you enjoy Black history month, please do remember that we are still way off the mark! Start by looking in the mirror and extending a hand to a brother/sister that might need your support. Lastly, feel free to voice your opinions on the above videos and especially the Morgan Freeman one! As always, Peace and Love.